Planning a visit to the Sweetest Place on Earth soon? Here are my tips on Where To Stay In Hershey. Now that I have had a full emersion experience in everything to see and do in Hershey, my hardest decision the next time we visit will be where to stay. Hershey has three official resorts to stay at during your sweet getaway – The Hershey Lodge, the Hotel Hershey and the Hersheypark Camping Resort. Each offers unique amenities to suit everyone’s tastes. During our Sweet Welcome weekend, me and 6 other influencers had the opportunity to stay at The Hershey Lodge. Offering 665 guest rooms and 100,000 square feet of function space, Hershey Lodge provides convenience and comfort for families and guests of all ages. It is also the largest convention resort in the state of Pennsylvania. 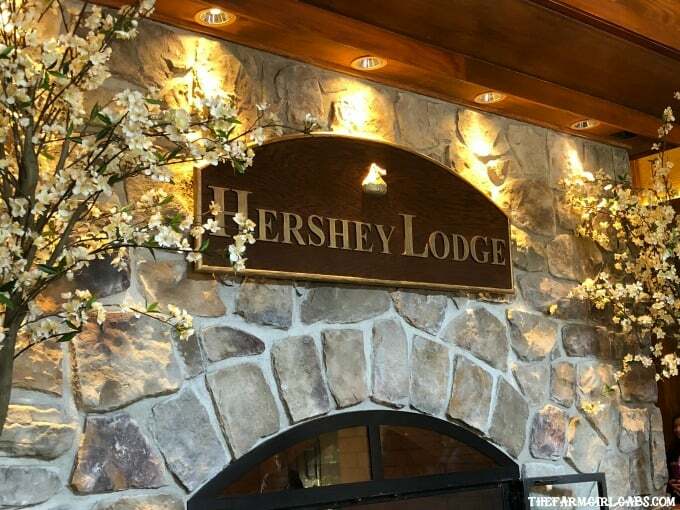 The Hershey Lodge has several dining options that offers something for everyone’s taste buds: The Hershey Grill, Fire & Grain, The Forebay, The Bear’s Den and The Cocoa Beanery. Kids of all ages can splish and splash at the Hershey Water Works. This is not your average hotel pool. It’s complete with water slides, splash zones and zero entry pool perfect for the littles. If you are looking for refined elegance in a hotel, then The Hotel Hershey is the perfect option for you. This 1930’s hotel is situated high atop the town of Hershey and has 276 guest rooms, including 48 cottages, as well as 25,000 square feet of meeting and function space. This hotel is a great choice for a couples or girlfriends getaway. If you go, be sure to book an appointment at the popular spa too. At The Hotel Hershey, experience history, reinvented, with the fresh flavors of our flagship restaurant at The Circular. Trevi 5 features authentic Italian fare, while Harvest serves genuine American cuisine. Start your day with specialty coffee and pastries at Cocoa Beanery and then after hours, unwind with a signature drink in the Iberian Lounge. If you are a fan of campfires, smores and the great outdoors, then the Hersheypark Camping Resort is an excellent choice for you! Bring your tent or RV, or rent a cabin, and enjoy the year-round natural beauty of Hershey The Sweetest Place On Earth – all while enjoying the special benefits of staying at a Hershey property. The deluxe cabins are the perfect option for clampers like myself! 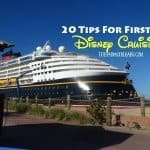 You can check out the quick tour video I did below. So many sweet options for planning a getaway to Hershey, PA! Which one will your family choose? 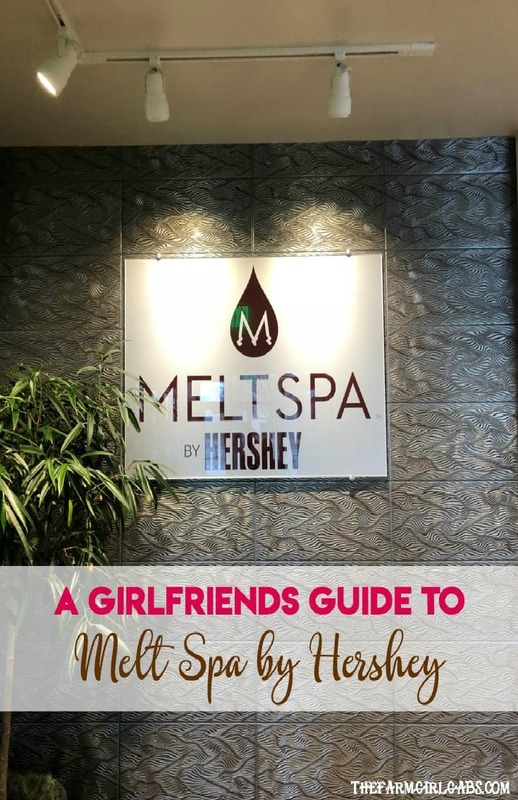 And while you are visiting Hershey, don’t forget to book an appointment at MeltSpa by Hershey! You can read all about my experience here.